In a rural, agri-industrial town called Greeley, 50 miles northeast of Denver, Colo., a group of 30 or so students gather for practice on the black top behind Prairie Heights Middle School. They’ve just traded a day in the cramped confines of a classroom for a cool October afternoon outside. Their coach, Abby Smith, impressively manages to wrangle up the rambunctious group of students for their opening circle, a chance to check in with each student and find out how they’re doing, one-by-one together. The bag of soccer balls sits expectantly off to the side. Moving around the circle, Abby asks each student what they’re going to be for Halloween, her voice cutting above the din of side conversations. I hear whispers of Arabic, bits of Spanish, Thai between hushed giggles, and English in the most wonderful variety of accents. There’s such diversity seated in this small circle of energetic, eager students. I catch the curious gaze of a girl across the circle from where I’m seated. I smile. She waves. Suddenly, Abby’s attention is on the two boys seated right by me. They look similar enough to be brothers. They are. “How long have you both lived in Greeley?” Abby asks Azis, the less shy of the two. “One year and a half,” Azis responds in beautiful accented English. “And where did you live before Greeley?” Abby continues. “Saudi Arabia,” his brother softly pipes up. I learn that they’re the newest additions to the group, having just joined this week. The Director of Coaching, Zach Killiman, appears and leads them into some breathing exercises and yoga stretches. One of the boys, Arohama, thinks aloud, probably voicing the words everyone’s thinking, “Why do we have to do this?” as he wobbles and shakes trying to maintain his standing T stretch. Abby and I are in conversation off to the side but she hears Arohama, jumps right into the circle and addresses his question right away, calling on a memory from last season when Rosie Marbie hurt her knee in the middle of the match. They all remember. Abby explains, “Stretching can prevent injuries like what happened to Rosie Marbie.” They wrap up their stretches with a challenge to balance their knees on their elbows. “Just try it,” Zach encourages the group, many of whom are looking at him like he’s absolutely insane. “You know the rules…,” he continues, “Try everything.” This seems to inspire the group into action, followed by lots and lots of laughter. Then, the boys and girls are split into two groups, the girls on one court with the boys on the adjacent. The green turf soccer field beckoning off in the distance is apparently off limits for the time being. Abby tells me they just laid fresh turf and that the black top is the only other available space to hold practice. The students don’t seem to care, eagerly awaiting Zach’s instructions with a soccer ball at each of their feet. He walks them through a new footskill called, “The Cruyff Turn.” The kids watch as he hooks the ball behind his planted foot and then turns a full 180 degrees to accelerate away in the other direction. The kids give it a try. Balls go darting and flying in a chaotic blur of smiling faces and laughter with the occasional and inevitable collision of balls and people. But laughter, lots and lots of laughter. Eventually the footskills practice turns into small-sided games and I start to see the real magic take hold. The opening circle that began practice showed the comfort and natural tendency of the students to stick with their friends, sit by them, talk to only them. But on the soccer field before me, the cliques of before seemed to have faded away into a blur of smiling faces and real connection, everyone communicating, regardless of language, background, country of origin, or skill level. Kids from Burma, Thailand, El Salvador, Guatemala, Mexico, Brazil, Ethiopia, Eritrea, Somalia, Kenya, Saudi Arabia, all sharing the court together in the pursuit of playing a game they all know, love, and speak. Program Director Ryan Plourde calls this, “the language of soccer.” When the ball starts rolling, it’s like everyone is speaking one language. Ryan first saw this powerful truth in action during his time in the Peace Corps in Ethiopia. Every day, the village would gather for a game of soccer. Knowing next to none of the local dialect, Ryan jumped into the games anyway. What he found was that whether he knew the language or not didn’t seem to matter. Communication flowed regardless, and effortlessly, in the act of just simply playing the game. Connections were made and strengthened on the field and those connections often transferred off the field as well in Ryan’s classroom where he taught many of these same kids. Soccer Without Borders, a non-profit sport for development organization about to celebrate their 10th anniversary, began because of the same astute observation Ryan had in Ethiopia; Soccer has the power to bring people together and transcend barriers in ways that nothing else can. 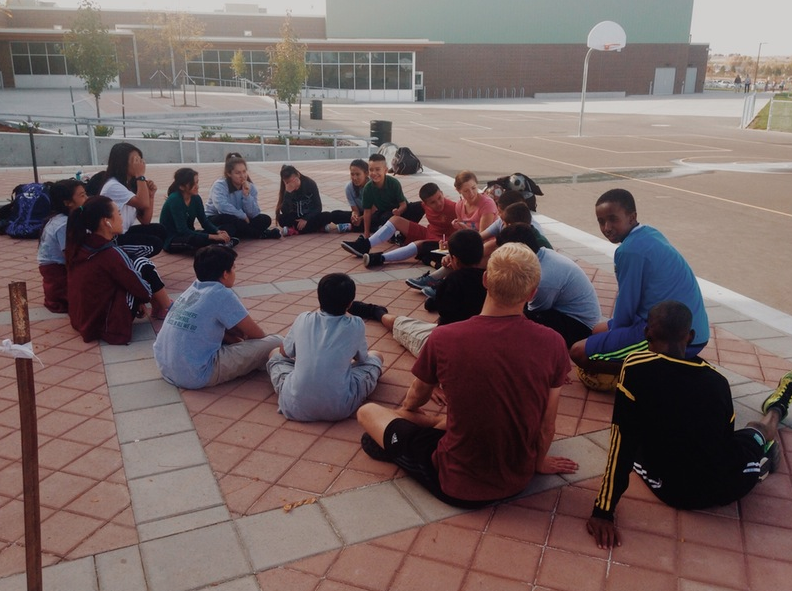 Co-Founders Mary McVeigh and Ben Gucciardi saw the potential for soccer to serve as a vehicle for positive change in the lives of an often overlooked population, the refugee youth. 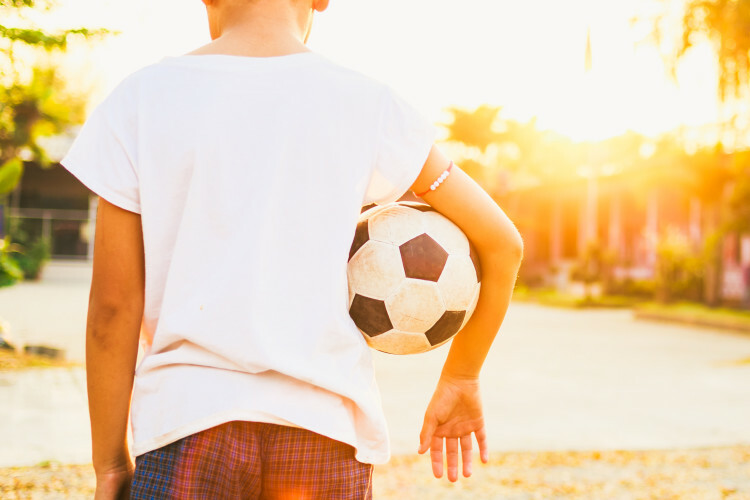 With more than half of the nation’s incoming refugees being children, this was one glaring hole that needed to be addressed and soccer appeared to be the answer. Ben makes the connection in an interview aired on morning television in Cairo, Egypt, stating “There is probably no other thing that can bring people together in the same way as football and so, once you have that group assembled, there’s so much opportunity to then talk about things…most important to the community.” Things like health, conflict resolution, gender, race, and a host of other important issues. Today, Soccer Without Borders has programs in four U.S. cities, including Boston, Mass., Baltimore, Md., Oakland, Calif., and most recently Greeley, Colo., as well as two international programs in Granada, Nicaragua and Kampala, Uganda. The Greeley program began in 2011 to meet the needs of a refugee population ever-growing and fast-expanding. According to the Colorado Department of Human Services, nearly 50,000 refugees have resettled in Colorado as of 2014, many of which wind up in Greeley due to the availability of jobs at the JBS USA meat packing facility or the Cargill packing facility in Fort Morgan. Life in Greeley as a refugee can be overwhelming. Many arrive having just fleed their homes, some even having to leave family members behind. They’re suddenly in a place where everything is new to them, including the language, the culture, the religion, the food, the customs, and even the weather. Soccer Without Borders has stepped up to meet the needs of the youth of this population. In Greeley, they have four simple rules for their participants – 1) Respect everyone. 2) Speak English. 3) Try everything. 4) Have fun. Rules so simple that anyone can understand, remember, and follow, yet so monumental in achieving the goals of the program, to equip youth with the tools to overcome obstacles to growth, inclusion, and personal success. It’s with and through respect, fluency, courage, and having fun that these kids can and do feel acclimated and capable of achieving any dream they may have for themselves. Many of the Greeley participants wish to attend college and a few have even shared their dream to play college soccer. There are no more dedicated, passionate, and devoted people than Ryan, Abby, and Zach to help them reach these goals. These three mentors and coaches have achieved a difficult thing; They’ve created a place where this diverse group of kids can come together and feel loved, supported, accepted, and authentic regardless and in spite of their backgrounds. Probably one of the most impressive and heartwarming aspects of the Soccer Without Borders program are the connections made on and off the field. 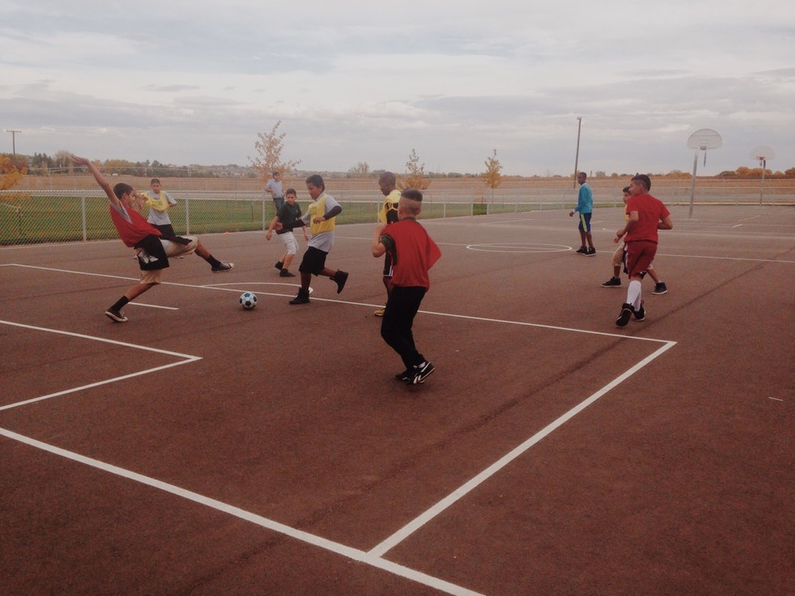 In Greeley, these kids and their coaches come together three to four times a week for soccer practice and education. During game season, even more. As if that’s not plenty of quality time already, they also get together for things like bonfires, movie nights, soccer matches, and trick-or-treating. Through their dedication, passion, and above-and-beyond support, Ryan, Abby, and Zach have made these kids feel comfortable enough to open up, be themselves, and feel at home in a world that is far from the home they once knew. Although, I observed just one of the six Soccer Without Borders programs, I can see how this program could work anywhere. It’s versatile and, as the program Founder Ben Gucciardi voiced, it can serve as the perfect common ground to launch into the important discussions. As a former soccer player myself, I’ve known firsthand what it feels like to speak one language on the field. Seeing the sport being used in this way to bring together a group of young people sharing similar but different (and difficult) stories is truly an incredible, creative, and world-changing endeavor. Reflecting on the joy and the unity that a simple black-and-white paneled ball brought to these children on a black top behind Prairie Heights Middle School will stick with me for a long time. 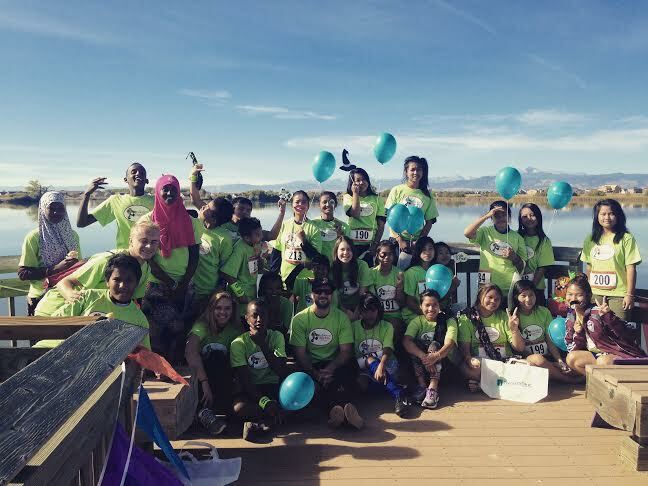 For ways to get involved and support Soccer Without Borders in Greeley or any one of their other five programs, visit the “Get Involved” page on their website. There you will find information about volunteering both domestically and internationally, details about their Positive Tracks matching grant fundraiser, and a link to their donation page where you can direct your donation to whichever program you choose. As with anything, sometimes the best support you can give is by simply spreading the word about the program and the incredible impact it’s having on the lives of refugee youth. You never know who and how your share could inspire and, in some way, come back around to support these kids. 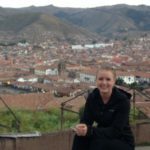 Amber Dunlap is an aspiring travel writer from Colorado dipping her toes into the profession here at The Culture-ist. Currently, she is prepping for a year abroad in Peru where she hopes to pick up the Spanish language, dive into the local culture, draw inspiration for her writing, and most importantly stretch her comfort zone to new depths. She’s an explorer and an adventurer, finding her bliss when in new places, under new roofs, and humbled by nature. Writing is her tool for processing and inspiring others to get out there and engage in this beautiful world. Find her on Twitter @Amber_Dunlap.